Even if you’ve not sold a home before, you likely are not surprised that there are many layers and levels of preparation and process before you no longer own the property. The needed preparation and the essentials of the various parts of the process are outlined below. The first step you should take is to call The Neal Team, Wally or Patricia, to arrange an appointment for them to come to your property to discuss the preparations that would be cost effective, to review the processes so you know what to expect, and to get information on the apparent market for your property … what it’s likely to sell for in the time frame that you need that to happen. There is no cost and no obligation for this professional service. There are always other homes on the market at least somewhat comparable to yours. How does a buyer choose which to take a look at? And what are the small factors that can influence that buyer to make an offer on your property? A fact: simply putting up a yard sign and a hasty entry to the MLS is NOT going to motivate any buyer toward your property, let alone to make an offer. to apply the most effective presentation techniques … specifically HD photography and drones. Equally important, we very promptly respond to showing requests and other inquiries. The best marketing is wasted if calls, texts, emails, etc. are ignored or not promptly responded to. For some insight to our “Clients First” philosophy, take a look at TNT Home Seller Services, then give us a call. You will be glad you did. Pricing real estate for sale is both “art” and “science”. An essential part of the “art” is the ability to recognize when the “science” is wrong. Contrary to every web page you will read, it is NOT mandatory that you NOT be above the apparent market … the price indicated by the “comps” … day-1 that your property hits the MLS. First, your property could differ substantially either way from “average”. Also, you could be in absolutely no hurry to sell. Unfortunately, in most cases your property must be “sold twice” … first to the buyer and then to the appraiser … and these folks do not get “emotional” over property … but they can be “sold” to some extent. We, The Neal Team, will be devoted to getting top-dollar for your property within the time frame you need. If you have at least 60 days before close is needed, this means pushing the price at least somewhat … with prompt adjustment with lack of traffic. Call today for a prompt and honest assessment of the market potential for your property. Give your property the best chance it has of making a powerful first impression. From curb appeal to interior design, from cleanliness to thoughtfulness, the way your property looks and feels directly impacts buyer decisions and actions. Remove excess, clear the clutter, and minimize your belongings. Depersonalize and neutralize by using generic colors and imagery in the decor. Clean from top to bottom and inside out. Paint and shampoo carpets if needed. Wash walls. Bleach sinks and toilets. Open the blinds to let in light. Mow the lawn and pull the weeds, trim the hedges and plant some flowers. 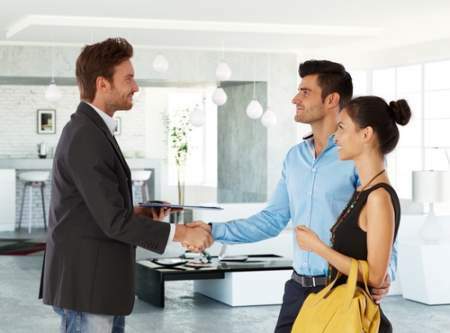 Give your property the ability to “flirt” with buyers. We, The Neal Team, have been full-time, full-service Realtors® in the metro-Phoenix area for 20+ years. We have assisted folks to buy and sell homes in every part of the 80 x 60 mile metro-area. We know this place. But the important part of this place is you property neighborhood. Probably the very best way for you, and us, to get a feel for the market for your property is to take a close look at others for sale there. Give us, either Wally or Patricia, a call today to discuss selling your property, and to consider a tour of nearby properties for sale. Unless you prefer otherwise, we, The Neal Team, will make a point of holding heavily-promoted “Open House” on either Saturday or Sunday the first two weekends your home is on the market. Done early-on, these events provide great, early insight to all aspects of the property and the marketing. For showings, we employing the Internet-based “Showingtime” service to simultaneously provide you and us with comprehensive agent and scheduling information for the requested showing, and then feedback afterward. This is one of the tools we use to keep you constantly informed of all relevant activities and communications. For both Open-House and showings your presence is not needed. In fact, it’s going to be more comfortable for you if you’re not home on these occasions. It’s also beneficial to make out-of-home arrangements for your pets. Not everyone is animal-friendly, some people have severe animal allergies, and your pets may not feel comfortable experiencing a train of unknown feet, scents, and voices parading through their territory. For Open-House and Showing days, do the dishes, make the beds, tidy the bathroom, and make sure the house is in tip-top condition. It make’s a very big difference. You will get offers, hopefully several simultaneously in the first week after listing. There’s are specific Multiple Offer forms and processes to be followed in that wonderful situation. More commonly, an offer takes more time than a week and there’s just one to contend with. We, The Neal Team, take great pride in the abilities we’ve developed to negotiate not only to the best terms and conditions, but also to ascertain upfront that the buyer is truly willing and able to complete the transaction. The last thing you want is to have your property off-market a couple of weeks only to learn the buyer can’t get financing. You’re under contract but you’re not done, just yet, opening your home to strangers. Nearly all buyers are going to have a professional inspection performed. These are a very thorough examination of the property that can take from two to five or more hours depending on the square feet, number of stories, etc. of your property. You will get the same inspection report delivered to the buyer, and eventually a BINSR (Buyer Inspection Notice) from the buyer stating his/her position with respect to the condition of the property. If the buyer is getting a home loan to finance the purchase, the other person that will examine your property is an appraiser who is to provide a professional opinion to the buyer’s lender as to the fair market value of your property. Appraisers are typically onsite less than an hour. If you live in an incorporated municipality within the metro-area, there will not be a survey. The boundaries of your property are well documented. If you live in an unincorporated area, a survey is more likely, but these folks do not need access to the interior. Meet with The Neal Team to get a clear picture of the market value for your property, to understand the home-selling process and to get comfortable with the marketing plan and reasonable expectations. Being informed and being comfortable with your understanding of the entire process will go a very long way toward minimizing stresses and anxieties. Then price your home competitively, stage and maintain your property to present its best condition, provide easy access for showings, promptly reply to offers and other communications, be as flexible as possible to offer terms and conditions, address property condition issues raised by the buyer, sign closing documents as scheduled, timely vacate the property, promptly deposit your net-proceeds check … then celebrate. Selling your place of residence is nearly always a very significant event. And if it went well, as it normally does with The Neal Team, please take the time to send us an email about your experience and to enter a review at Zillow here, and be ready to recommend TNT to friends and family when they ask who you know in real estate in the metro-Phoenix area. We will much appreciate that, and so will those you send to us. We truly cherish referrals.